The holiday season was officially opened on Saturday, December 5th, as the Town Christmas Tree was lit in Central Park. 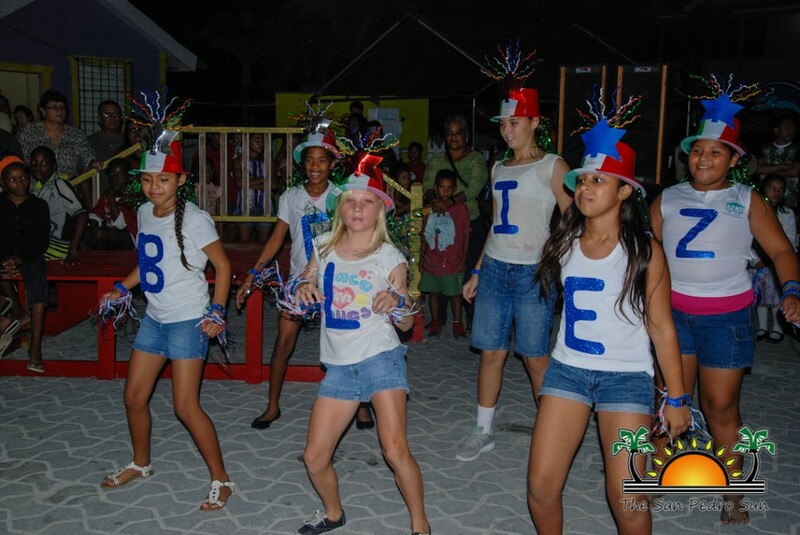 Island families and visitors gathered to witness the official ceremony shortly after 7PM. 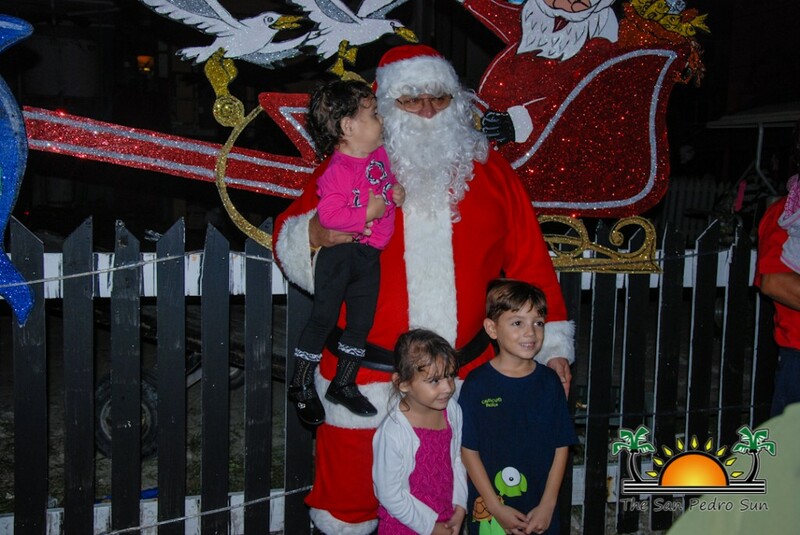 As usual, Santa, the guest of honor made his special appearance at the event, spreading cheer and bringing in the Christmas spirit. Mayor Daniel Guerrero opened the night’s event, welcoming everyone to the anticipated annual celebration. 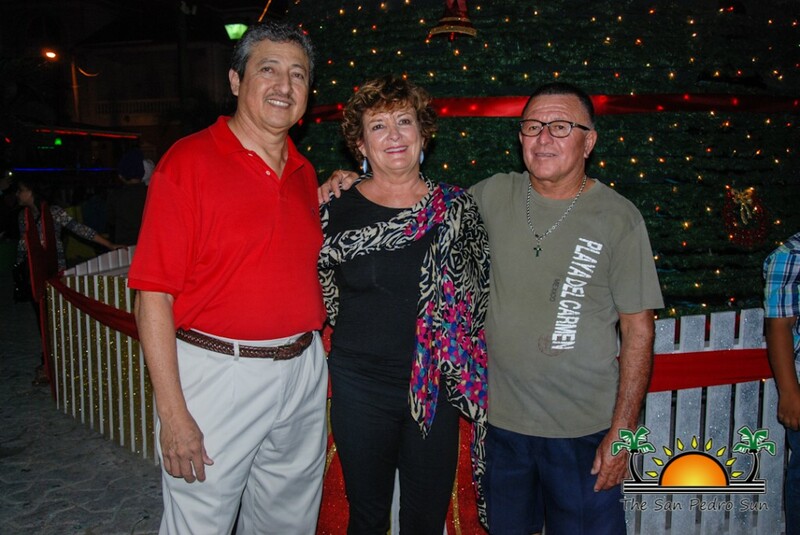 “This Christmas tree lighting ceremony signals to us the happiness of the season; families bring us together as a community and remind us of the significance of our Creator’s birth to humanity. During the next couple of days leading to the Christmas and New Year’s festivities we hope that our residents take time to reflect how far we have come in yet another year as a community, family and individuals. There is much to be thankful for, and we must reflect on those reasons. One more year alive, with our families, with our jobs and one more year with happiness. 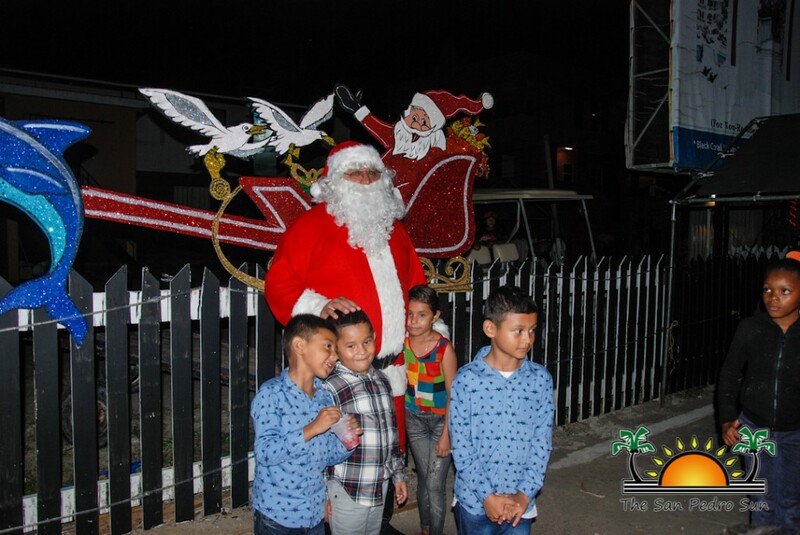 On behalf of the entire San Pedro Town Council I take the opportunity to wish each and every one a blessed and Merry Christmas and may the year 2016 be a prosperous for all of us,” said Guerrero. 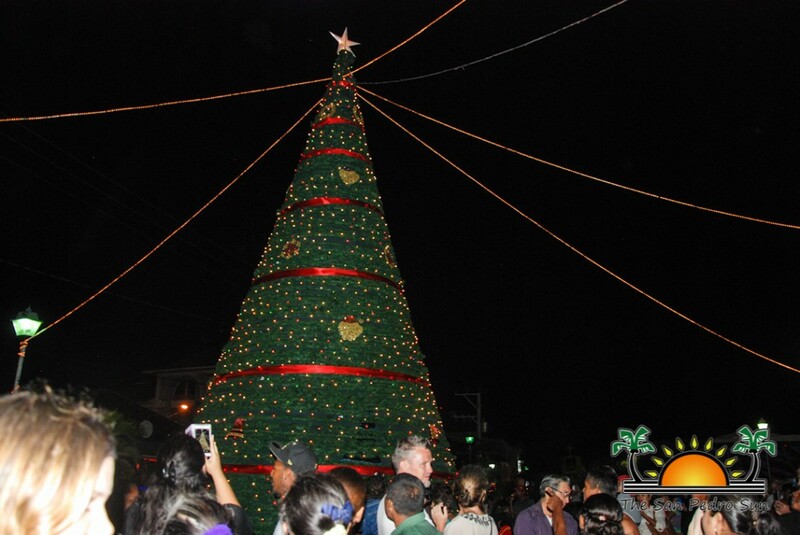 Immediately after, Mayor Guerrero flipped the switch and lit the Christmas tree with thousands of colorful sparkling lights. The Area Representative and Minister of Tourism, Civil Aviation and Culture Honorable Manuel Heredia Jr also addressed the audience. He reminded everyone that Christmas is a time of sharing, unity, affection and taking care of the less fortunate. He ended by wishing everybody a Merry Christmas and a prosperous New Year. 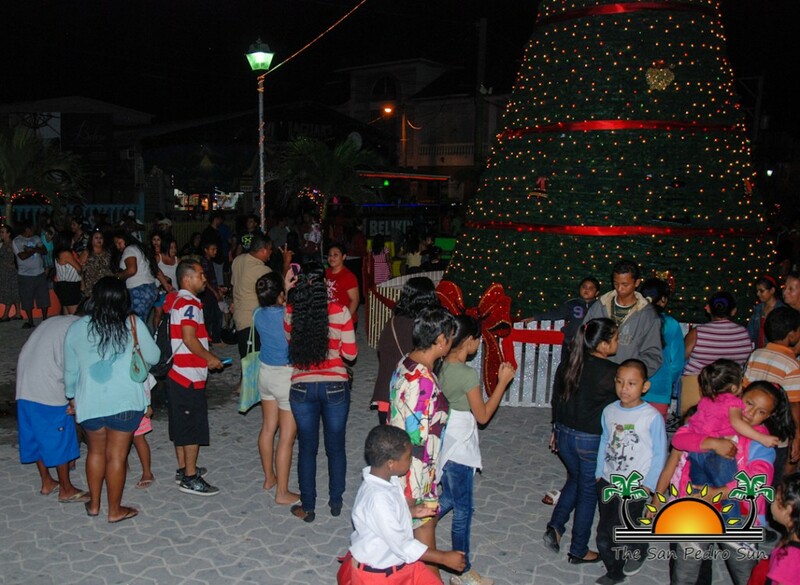 Meanwhile everyone enjoyed the Christmas tree, classic Christmas carols kept the Season’s vibes high and dance performances by students of Isla Bonita Elementary School were presented. 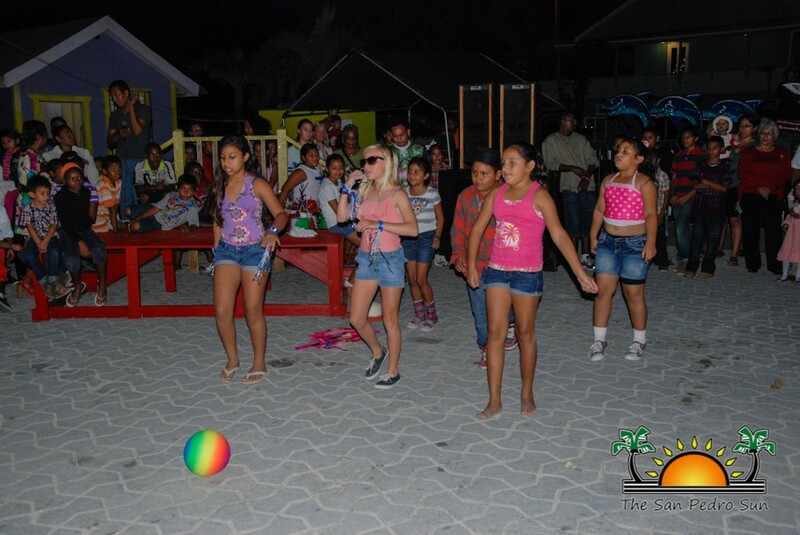 In the spirit of sharing, children were treated with cupcakes and refreshments. 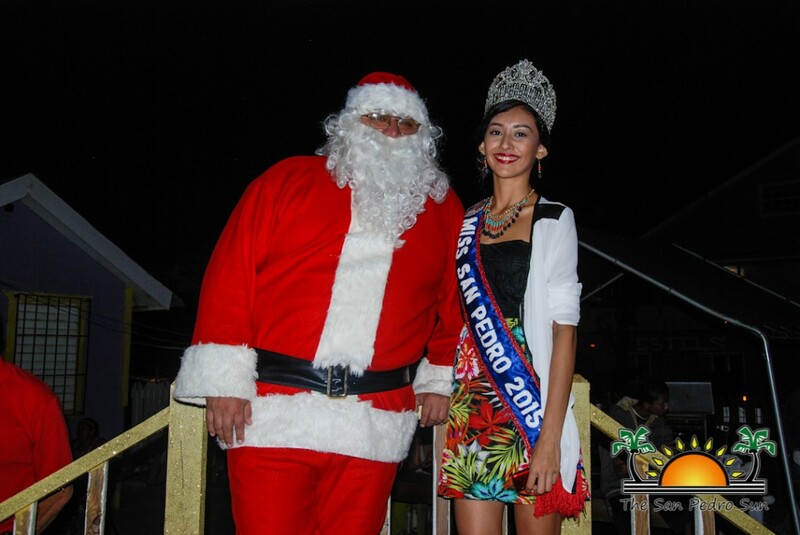 People had the opportunity to take pictures with Santa and Miss San Pedro Iris Salguero in front of the lit tree. The San Pedro Town Council would like to thank Lady Dixie Bowen, her family and the Bowen and Bowen Companies for the kind donation of the Christmas tree. 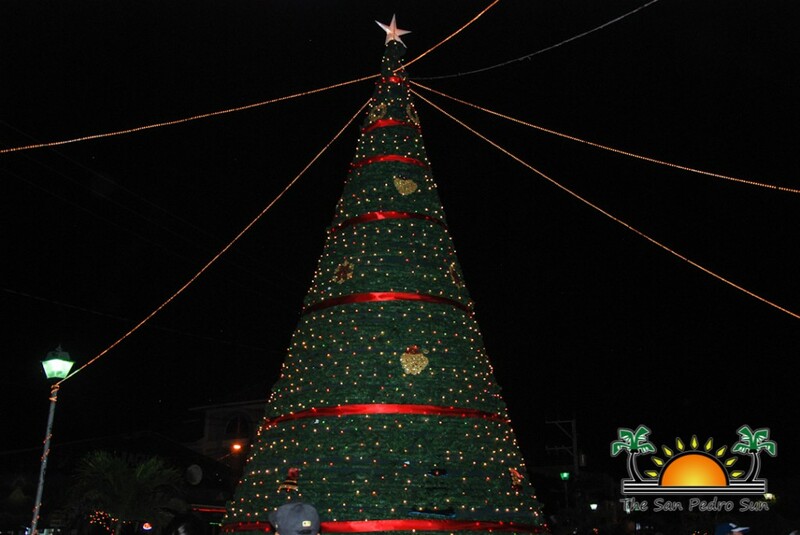 May all island residents and visitors have a happy Holiday Season!